Joining a long line of elaborately mustachioed actors, including Orson Welles, Albert Finney, and, most recently, Kenneth Branagh (in last year’s lavish Murder On The Orient Express), John Malkovich has signed on to play Agatha Christie’s Hercule Poirot in an upcoming BBC mystery. Specifically, Malkovich will play the fussy little Belgian detective in a three-part re-telling of The ABC Murders, one of Christie’s best-regarded books. Christie’s short, arrogant answer to Sherlock Holmes has been a frequent favorite of actors; although David Suchet played him for the longest, as the star of ITV’s long-running Poirot TV series, he and his little grey cells have also been handled by folks like Alfred Molina, Peter Ustinov, and many more. 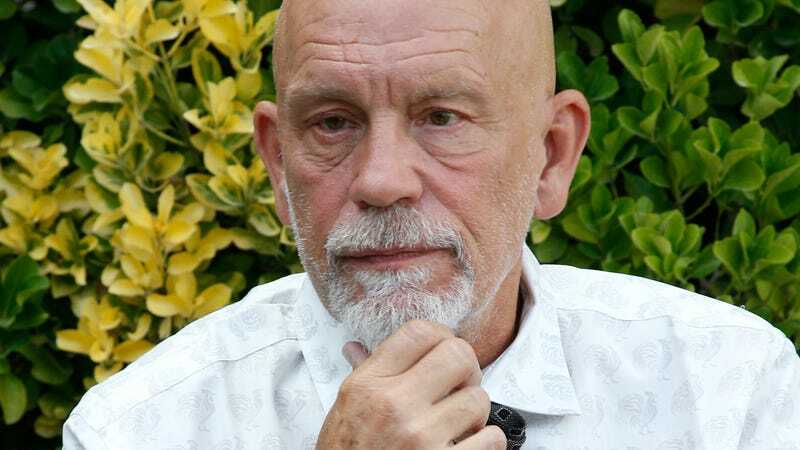 Malkovich’s run as the character is being described as a “one-off” by producers of the miniseries, which will also feature an appearance by former Harry Potter star Rupert Grint. The BBC series will air in the U.S. via Amazon Prime.